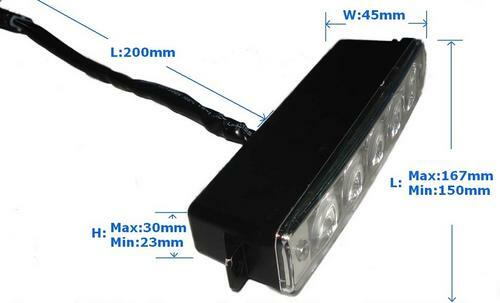 Suitable for almost every vehicle; 5 high-power led bulbs per lamp; Road legal in European Union; Newest digital brightness control; Heat protect circuit for ultra long last; Auto power on system, turning on with ignition. WE CANNOT GET A PHOTO OF THESE LIGHTS TURNED ON CLOSE UP AS THEY ARE JUST SO BRIGHT! Lose-Frequency Protection: The LED light shut off once the control frequency is abnormal to protect the control module and LED light. Wrong-Connection Protection: It is not harmful to circuit when the three cables of LED were connected incorrectly. The LED light is off when connection is incorrect, it will be on when connection is right. The three cables of LED light are VBB, Vss and VC respectively. Anti-Vibration: The Anti-vibration character of the LED DRL is accord with the requirements of the automotive relevant technical specifications. 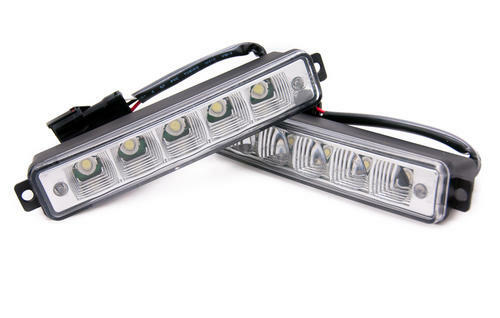 Waterproof and corrosion-resistance: The waterproof and corrosion-resistance of the LED DRL is accord with the requirements of the automotive relevant technical specifications.